The suit alleges that misguided treatment caused Paxton to suffer excessive bleeding, cardiogenic shock and a compromised coronary artery. 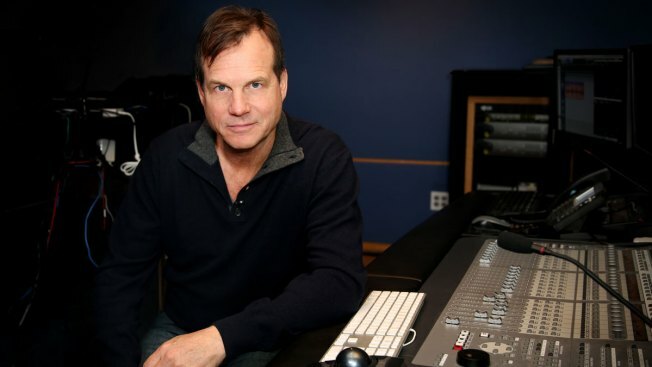 In this December 19, 2017 file photo, Bill Paxton at a voice over recording session for Call of Duty: Advanced Warfares "Exo Zombies" mode, part of the Havoc DLC pack on December 19, 2014 in Los Angeles, California. The family of Bill Paxton has filed a wrongful death lawsuit against a Los Angeles hospital and the surgeon who performed the actor's heart surgery shortly before he died. The suit filed Friday against Cedars-Sinai Medical Center alleges the surgeon, used a "high risk and unconventional surgical approach" that was unnecessary and that he lacked the experience to perform, and that he downplayed the procedure's risks. And it alleges the hospital knew the surgeon, Dr. Ali Khoynezhad, tended to "engage in maverick surgeries and show suboptimal judgment." Paxton's death certificate says he died Feb. 25, 2017, from a stroke, 11 days after surgery to replace a heart valve and repair aorta damage. He was 61. "Bill Paxton and his family trusted the physicians and staff at this medical facility but instead Cedars-Sinai betrayed their trust," the family's attorney Bruce Broillet said in a statement. "The surgeon's actions resulted in this tragic and preventable death." Paxton's widow, Louise, and children, James and Lydia, brought the lawsuit. It seeks unspecified damages and reserves the right to add more defendants who work for the hospital as their roles and names become clear. Cedars-Sinai said it could not offer public comment about Paxton's case. "State and federal privacy laws prevent us from commenting about patient care without written authorization," a statement said. "Nothing is more important to Cedars-Sinai than the health and safety of our patients. These remain our top priorities. One of the reasons for our high quality is that we thoroughly review concerns about any patient's medical care. This process ensures that we can continue to provide the highest quality care." The lawsuit comes just before the first anniversary of the death of Paxton, who played major supporting roles in the films "Apollo 13," ''Titanic," and "Aliens," and starred in the HBO series "Big Love." Paxton, who was born and raised in Fort Worth, Texas, was among the industry's busiest actors, with nearly 100 credits, and was starring in the CBS drama "Training Day" when he died.